Discover Chalet Pistache, with its surface of 350sq.m, it can accommodate up to eight people. 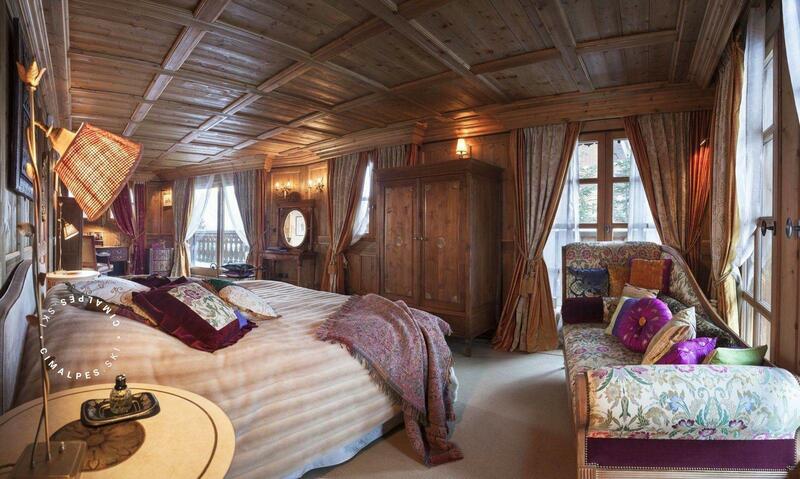 The chalet has three bedrooms with bathrooms and one master bedroom. 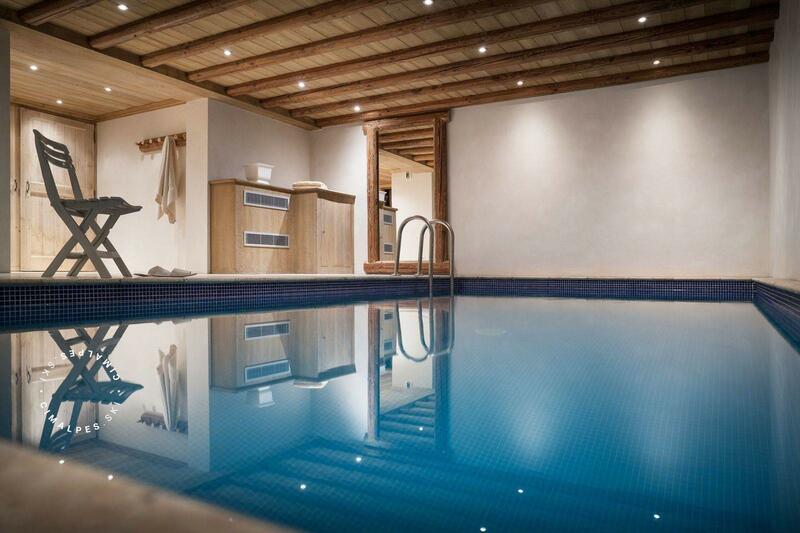 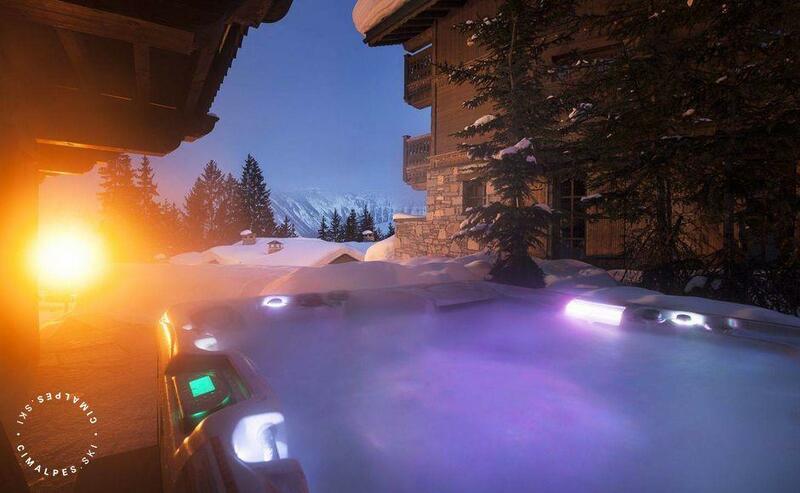 After enjoying the largest ski area in the world, the 3 Valleys, what better than to come and relax in the well-being area of the chalet. Take a dip in the pool, get a massage in the outdoor jacuzzi or warm up in the hammam. Thanks to its unique and atypical decoration you will be totally immersed in the mountain environment during your stay. 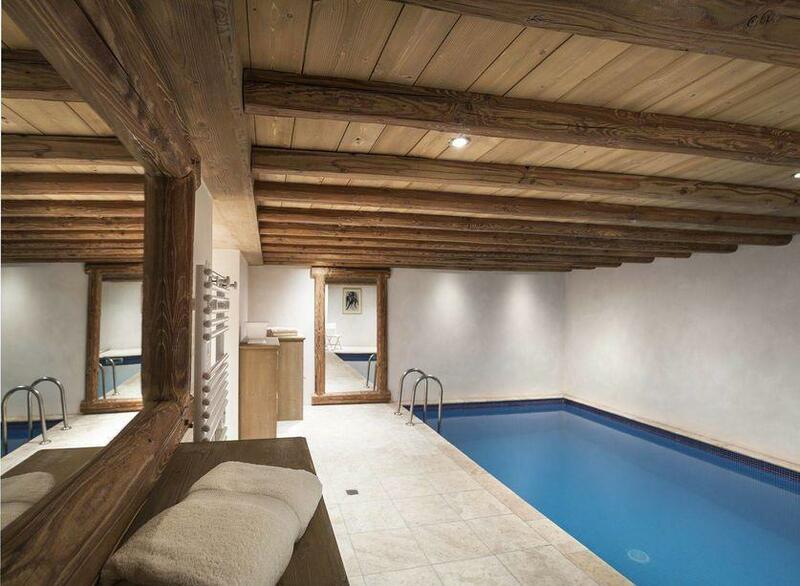 Wellness area with swimming pool and hammam. 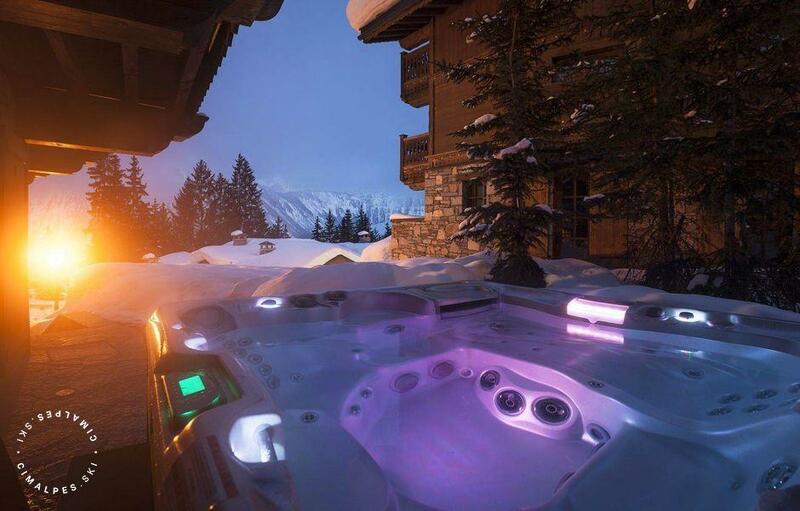 You will also find a ski locker with shoe dryer and laundry room. 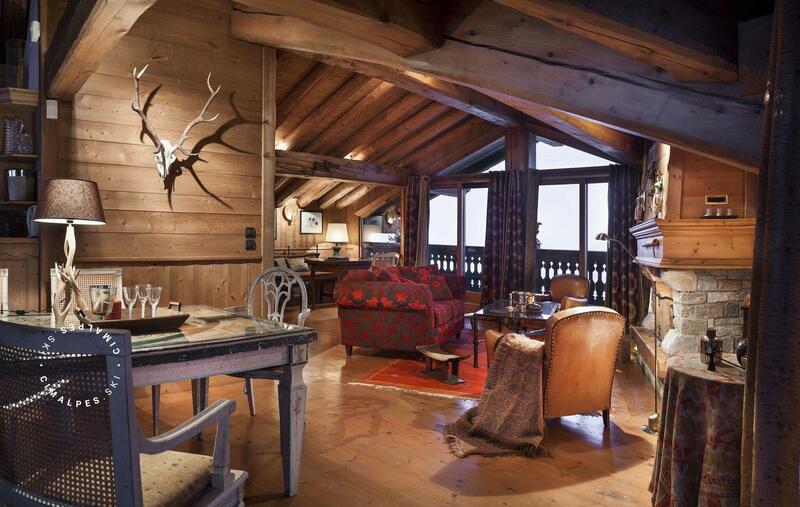 Living area : Rooftop living room with dining room, open plan kitchen with beautiful mountain views.